National Picnic Week is a fabulous excuse for the whole nation to grab their favourite foods and disperse into the countryside for a lazy afternoon. Dig out those baskets and blankets and get planning this June. National Picnic Week was first introduced a decade ago and has only grown since then. The aim is to get as many people as possible out there and enjoying our countryside. 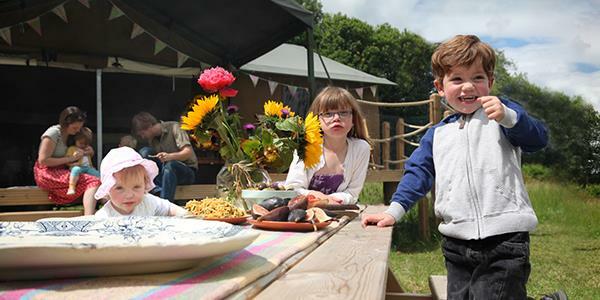 Picnicking is quintessentially British – as soon as the sun’s out we’re off making the most of it, and for a week every June many companies, media channels, TV and radio programmes, as well as family and friends flood into the great outdoors to take part. Why do we love to picnic? As a nation, we are really proud of our glorious countryside and when the sun comes out (which is less often than a lot of us might like), we can finally enjoy it. Picnicking is really good for you. It’s a great way to get some fresh air and vitamin D while enjoying healthy homemade food. Why not get creative and experiment with different flavours or try out snacks from different countries? Dining outdoors like this is great for all ages and is brilliantly inclusive for the whole family. 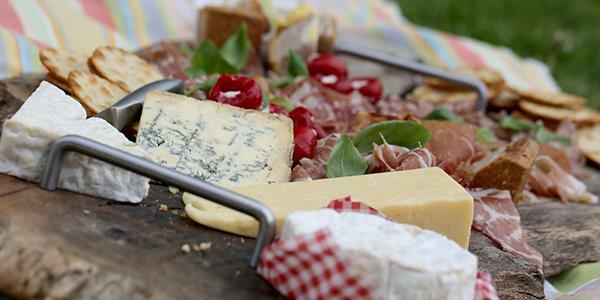 Here are our top tips for a perfect picnic. Remember that no matter who you have attending, it always goes down well if you’ve thought to bring along some outdoor games. Being outdoors like this is sometimes a bit of a novelty so why not try to bring some things that you wouldn’t normally do. Check out our blog post on outdoor activities for some ideas. If you’re venturing off the beaten track there probably won’t be too many supplies out there. And if you get caught out unprepared it could ruin the day. Take sun cream and hats for the children. Don’t forget this is England, so weather is just as likely to change. It might be a good idea to pack an umbrella… just in case. It may sound obvious, but don’t forget cutlery and crockery. If you’ve carefully prepared and packed all that yumminess it would be so annoying to get to your desired picnic spot in the middle of blissful nowhere only to realise you haven’t got a sharp knife to cut the loaf, or a spoon to dish out the potato salad. Finger foods are great for picnics because you don’t have to worry about getting too messy. It’s also a lot of fun thinking up interesting and different snacks to make. You can get the kids involved with recipes too, and they’ll love showing off their creations to the group during the picnic. Picnicking whilst staying at one of our sites is the ideal way to see more of your surroundings. You’re on holiday, you’re feeling relaxed and you’ve got a huge stretch of unexplored countryside at your disposal; why not get lost for an afternoon and enjoy the sunshine? 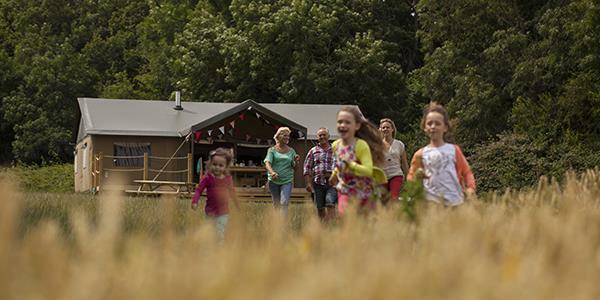 Because each of our ‘tents’ comes complete with a wood-burning stove, a gas hob and an outdoor barbecue you have all the facilities you could need to cook up a delicious range of snacks. Try out potato salads, rice salads, boiled eggs etc. Or even make use of last night’s leftovers; bbq skewers are good ones, or sausages? There’ll be no need to pack up the car and drive for miles. Simply sort out a hamper of goodies and set off!